Give your business professional curb appeal with the professionals from ALL-GREEN. Our strategically-planned lawn care program gives your office landscape optimal service, with thorough weed control, and a fertilization schedule that is adapted to the turf and climate of your particular properties. No matter your location or operating hours, we can custom build a schedule that fits the needs of your company. No lawn mowing work is too big or small. Our services are tailored to fit any terrain or property type. 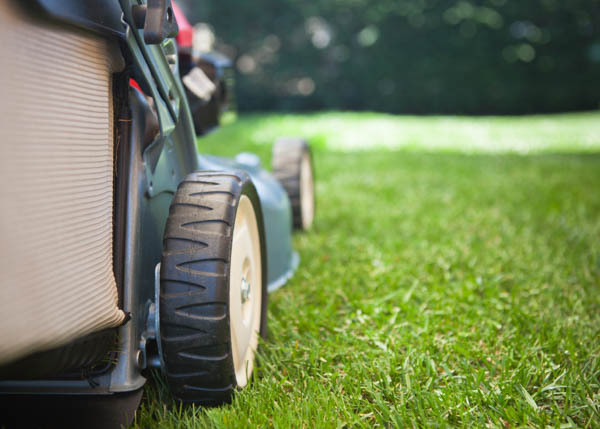 We offer you complete lawn maintenance with our detail oriented, high-quality mowing service. Whether you’re looking to impress clients, or looking to just create a welcoming environment for you and your employees, we are here to serve you. Let us design and create the best landscaping in Oklahoma City for your commercial property. Our organic lawn fertilizer and soil conditioner is applied to your grounds in the fall, and over time will improve your turf in a variety of ways. Organic material, as it breaks down, will increase the water and nutrient retention, texture, and fertility in general. This green, 100% organic material will also help fuel the microbial processes flourish, which are vital for any healthy soil. A vibrant, well-maintained landscape will enhance the professionalism of your commercial property. With our Plant Health Care Program, we can protect you from diseases and pests that are often difficult and time consuming to manage on your own. We also maintain a grass fertilizer schedule, utilizing the best treatments for your particular grass and soil. With every visit, our hardworking technicians will monitor, diagnose, and treat any issues that may arise. Our four-step Perimeter Pest Program is designed to help control insects such as spiders, crickets, ticks, and a long list of other common pests from entering your facilities. When we visit, our technician will target common access points resulting in efficient and long lasting insect control. It’s the most wonderful time of the year, but when running a business, the holidays can be stressful! We custom plan your Christmas light installation, and take your lights down after the holiday. The best part is, we store the lights for you as well, freeing up your buildings for everyday needs. It’s just another way we keep your commercial property sparkling all year.